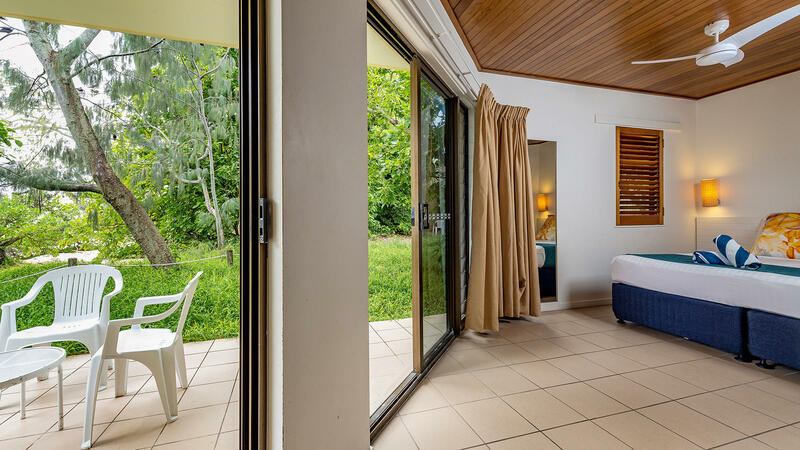  Offering access to both the Great Barrier Reef and the resort’s beachfront, Beachside Suites are spacious, with double glass sliding doors opening up onto a large outdoor balcony. 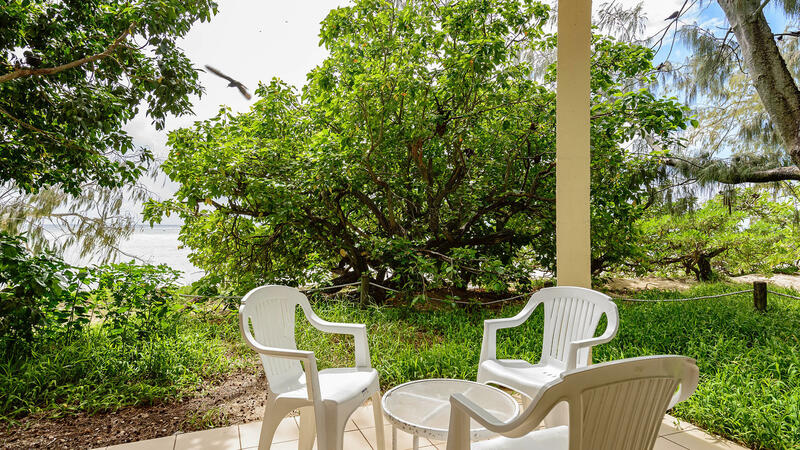 The living area features partial ocean views, two day beds, an oversized cane chair and a coffee table. 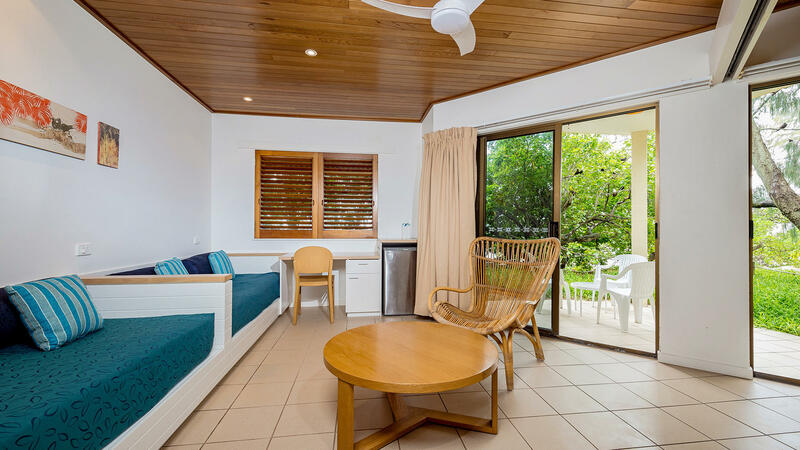 These suites are available with one King bed or two Single beds located on both the upper level and ground floor.